Is Ginger Good for Your Skin? Ginger roots for sale at a market. 4 Can You Eat Ginger Peel? 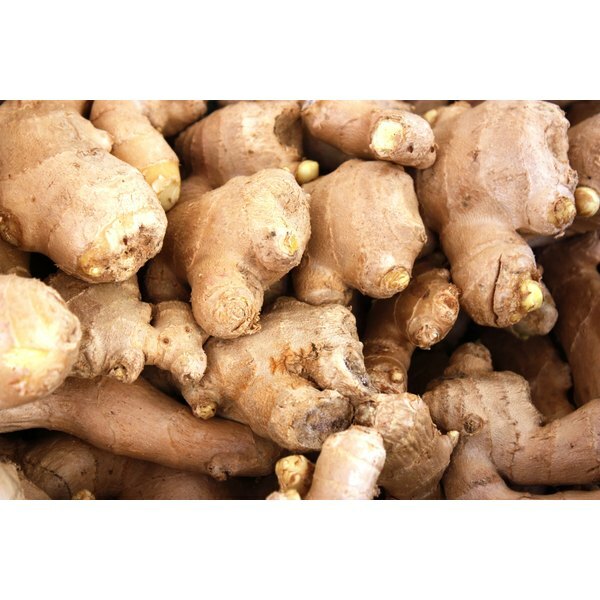 Ginger is a popular herbal supplement that you can find in many cosmetic preparations and lotions. It's been used traditionally as a burn remedy, to reduce inflammation, and to treat pain on or near the skin. However, there isn't scientific evidence to support these uses, or to support the notion that it's good for your skin. Ginger is a common component of many foods, and powdered ginger appears in baked goods. Ginger candies, teas, and beverages are also common grocery store items. 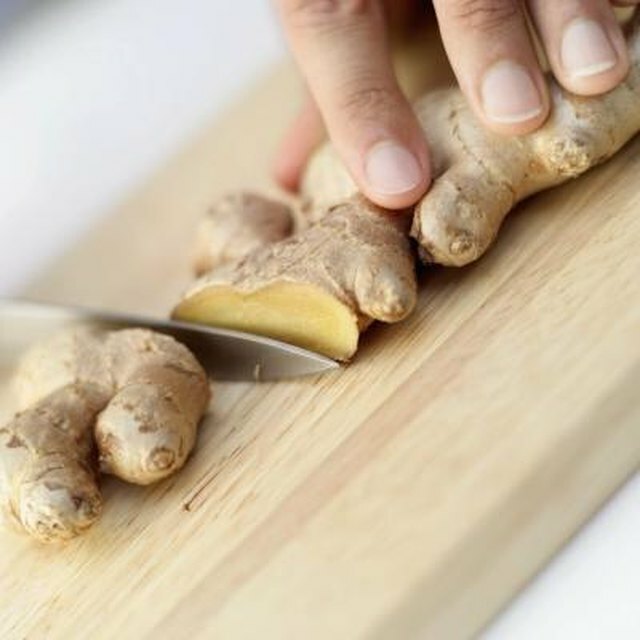 The flavor of ginger comes from many different molecules, but the molecule most directly implicated in ginger's medicinal properties in zingerone, explain Drs. Penny Le Couteur and Jay Bureson in their book "Napoleon's Buttons." Zingerone is related to capsaicin, which is found in hot peppers, and it has a similar heat. According to PubMed Health, there's no scientific evidence to support the use of ginger -- generally it's ginger juice that people apply topically -- to treat skin conditions or improve skin health. There isn't scientific evidence that suggests it's dangerous or unsafe, either, so if you're interested in using ginger topically, you should discuss it with your doctor. Some very sensitive individuals could potentially notice a burning sensation after applying ginger topically, particularly to sensitive areas like the face. Althought there's no clearly defined, plausible scientific hypothesis for why ginger might benefit your skin, it's reasonable to suppose that it could help distract you from certain skin conditions, but this hasn't been proven scientifically. Because zingerone binds to pain receptors -- similarly to the way capsaicin does -- some individuals could notice a distracting, warm sensation after applying ginger juice topically. The sensation could be similar to but more subtle than that associated with topical application of capsaicin, and might distract you from pain. If you're interested in using ginger juice for any health-related purpose, you should talk to your doctor. Your physician can help you determine whether ginger is an appropriate remedy or skin conditioner. There are other herbal and plant-based skin conditioners that have more scientific evidence to support their use. Many oils,such as olive oil or coconut oil, help moisturize your skin and reduce inflammation. Aloe vera helps with burns, and moistens very dry or damaged skin.